← Matchbox Cineclub #3: Who Are You, Polly Maggoo? The next issue of the Physical Impossibility zine is all about Copywrongs, and features writing and art inspired by films which have flaunted copyright in one way or another. Films like FW Murnau’s Nosferatu, which barely survived being wiped from history by court order, Never Say Never Again, the rogue “unofficial” Bond remake which brought Sean Connery back to the role, or the legendary classic of Turkish remakesploitation, Dünyayı Kurtaran Adam AKA Turkish Star Wars, which back-projected clips from Star Wars in lieu of expensive special effects. The 24-page zine features new and exclusive writing by Nicola Balkind, Ryan Balmer, Ian Dunn, Craig McClure, Paul McGarvey, Harriet Warman and Sean Welsh alongside beautiful illustrations by Jon Adam, Emily Chappell, Peony Gent, Ken Da Koalah, Valpuri Karinen, Claudia Nova, L See and Drew Walker. 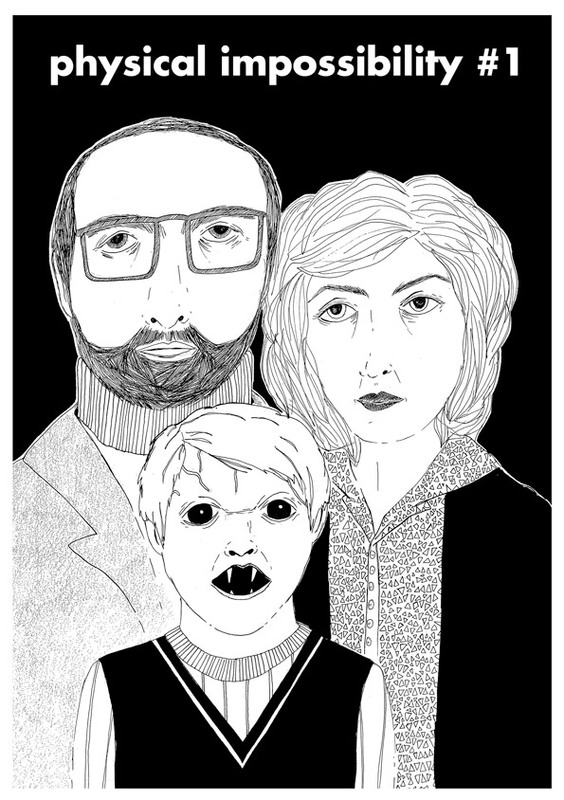 The zine will be available from various stockists and via the zine page of this site, soon. 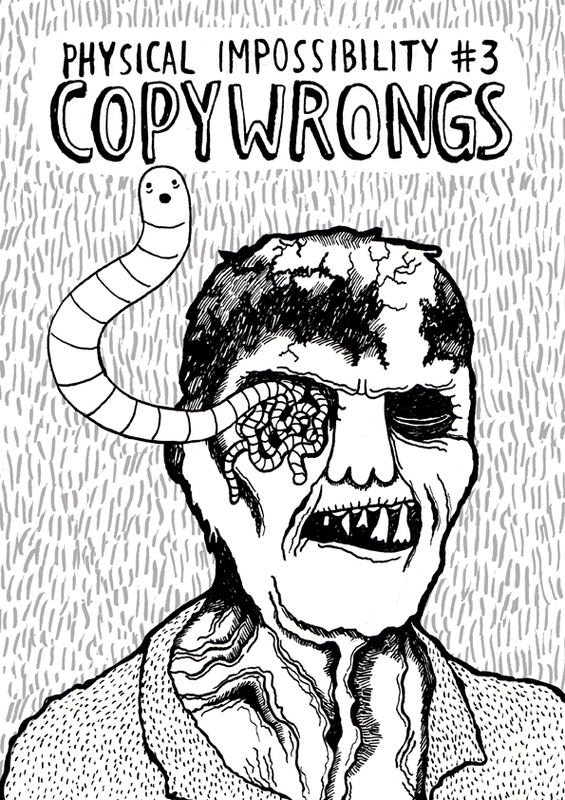 However, your first chance to grab a copy of Copywrongs will be at Glasgow Zine Fest at The Old Hairdressers, Glasgow, on Saturday 4th April. Physical Impossibility will have a table there, with zines and prints aplenty. We’ll also be debuting the second edition of our long-sold-out first issue, The Films of Larry Cohen. #1’s been updated with a redesign and a bonus extended excerpt from our Larry Cohen interview. Hope to see you there! 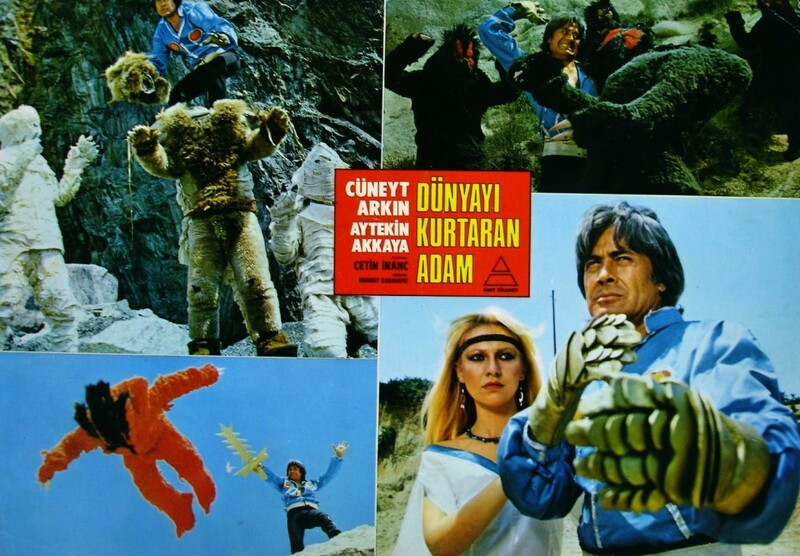 This entry was posted in Glasgow, Turkish Remakesploitation, Zine and tagged Cinema, Copywrongs, Cult, Film, Glasgow, illustration, James Bond, Movies, Never Say Never Again, Nosferatu, Physical Impossibility, Turkish Star Wars, Zine, Zombi. Bookmark the permalink.